This image of the spectacular N44 H II region in the LMC displays (very nearly) the full extent of the WFI field. 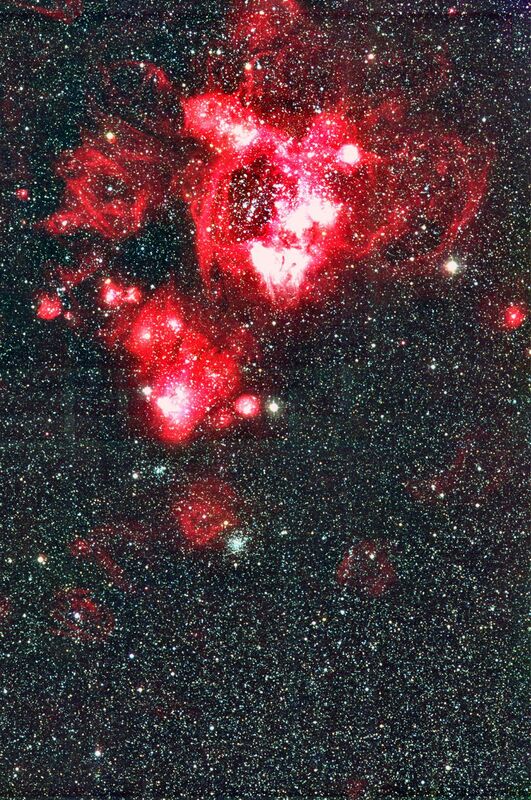 N44 is a very bright, rich and well-studied complex in the LMC, somewhat apart from the other nebulae in this galaxy. 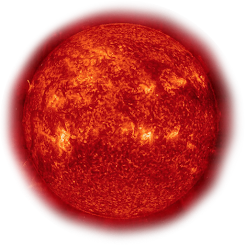 The general appearance (in astronomical terminology: the "morphology") is well explained by a combination of fast outflow from stars (stellar winds) and supernova remnants, as well as sequential star formation.